I’m one of the Special Guests at Recruits Convention 23rd show this weekend, September 28-30, 2018 at Lee's Summit High School in Lee's Summit, Missouri. I'll be hosting seminars and running some games. The game schedule is available (no pre-registration for games, sign up on site). I’ll be running a shorter version of my Kessel Breakout con adventure. The seminar schedule isn’t up yet, but I’ll be hosting three. Since the con is at a high school, the first two will have more of a how-to/educational approach. There will be a lot of games, particularly war games, along with some RPGs hosted by RPGKC. It is an inexpensive event to check out. Over at the DMs Guild, I've updated my D&D Adventurers League adventure DDEX1-07 Drums in the Marsh (Tyranny of Dragons) to include complete files for use with the Fantasy Grounds 2 virtual tabletop. Since the VTT environment works better with more maps, I've included three new encounter maps and redrew the existing encounter map. The new maps are based on my sketches for some maps originally submitted with the adventure, but not included in the final version that was released. They aren't required to run the game, but they can help. Thanks to Fantasy Grounds for the opportunity to create these files. It was easier than I expected once I got the hang of it. I plan to make use of this for some future DMs Guild works. For those who play at the tabletop or on other VTT products like Roll20.net, I also released a separate Drums in the Marsh Map Pack. Separate DM and player versions. Print versions for use as handouts at the table. JPG files for use with virtual tabletop programs. (These maps are already integrated into the Fantasy Grounds version of the DDEX1-7 adventure file.) The maps include guides to aid in setting up grids in some VTT software. The VTT version of each map includes a players map without grids, a players map with grids, and a DMs map with notes and no grids. Note: Due to the large size of the encounter areas, this pack does not include files suitable for printing at 1" miniature scale. Farm area map (new map). Twilight Marsh encounter areas (2 new maps). The Map - the mysterious document for which Volume 1 is named. This is actually shown within the comic itself in a very large panel. This also makes a similar appearance online. The world maps in the various forms and books. The Pegasus deck plans, limited in the digital package to one elevation shown as a wall paper for use on various digital devices. For non-backers, you can catch a glimpse of the maps in the sneak peeks released earlier. There is also the proof-of-concept video I created during the map making process which was released last year. I saw the proofs for the hardcopies awhile back, and they also looked very good. One of the maps I created for the Lady Sabre and the Pirates of the Ineffable Aether kickstarter hardcopies makes an appearance in last week's comic. You can see it here. A few days ago, Greg Rucka posted the proof of concept video clip I created while working with him, Rick and Eric on the clockwork world atlas for the Lady Sabre and the Pirates of the Ineffable Aether kickstarter graphic novel. The video is below. It was originally shared as a backer only post to the kickstarter backers. Greg's tumblr post can be found here. Earlier today, the Lady Sabre and the Pirates of the Ineffable Aether kickstarter funded successfully. While the final, late and ambitious stretch goal for expanding the deckplans into a big poster map wasn't achieved, the campaign was a huge success for Greg, Rick and Eric. Now it's on with the maps! Thanks to everyone who participated. So, the Lady Sabre and the Pirates of the Ineffable Aether broke though the $100,000 mark, and the Cartographer's Craft stretch goal. That means the maps are a go! But that's not all. Now the details for the Deck Plans goal have been revealed. There are 7 days to go, and if they break $120,000, I'll be drawing a really cool ship. HMS Pegasus Deck Plans - If we achieve this Stretch Goal, Sterling Hershey will bring to life Her Ladyship's conveyance with a set of deck plans of Pegasus. Working with Rick and Greg, this will be a minimum of four sheets, detailing each deck of the ship, and potentially as many as eight, showing detail, cut-aways, and close-ups. These will be printed on high-quality paper, in a "blueprint" style, and designed to replicate the ship plans of the era. A complete set of these deck plans will be included with every copy of the book (Cloth Covers, The Style to Which She is Accustomed, and the Rare & Royal editions) as well as be included in the All Digital, All the Time package. So, there is still time to join in. You can check out the Kickstarter here, and the comic itself here (from the beginning). At this level, Sterling Hershey will be commissioned to create the Map of the Known Sphere as of IV.E.890 (this is our dating convention in the series). This will be large, "flattened" map of the Lady Sabre world as it had been explored thus far. This map will be included in the Vol. I trade. Additionally, Sterling will revisit the maps seen in the series thus far (the Tanitin Frontier and the Coming Storm), giving them professional treatment that will also be reflected in the trade. Lady Sabre and the Pirates of the Ineffable Aether is a comic written by Greg Rucka (Batman, Detective Comics, Gotham Central, Queen & Country, Whiteout, and many more) and drawn by Rick Burchett (Batman, Superman, The Justice League, The Batman and Robin Adventures and many more). Both are Eisner award winners. Eric Newsome runs the website. What is it about? You can go read entire series so far at Ineffableaether.com, and there is a bit about the comic in their own words below. Swords are cool. People fighting with swords are cool. Airships are cool. Cowboys are cool. Pirates are cool. Clockwork men are cool. Smart, savvy, witty women are very cool. Laconic gunslingers? Totally cool. Steampunk? Frosty. And most of all, what it’s supposed to be? It’s supposed to be fun. 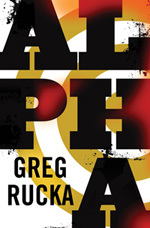 Some of you might remember that I also contributed and help design the map in Greg Rucka's Alpha novel. You can read my blog post about that map and process here. I've produced maps for roleplaying game products such as DugeonADay.com, the Nebulon-B for the Star Wars RPG years ago, Super Genius Games and a non-gaming map for starwars.com. Click here for my online cartography portfolio. I'm also an architect and freelance writer and game designer. I've added an excerpt of the fantasy world map used in the Realms Works beta test to my online portfolio. Realms Works is a new tabletop roleplaying game computer utility program that helps gamemasters organize their campaings. A demo of the beta was shown at GenCon this year. More information on the product can be found here, at Lone Wolf Development. they are best known for the popular Hero Lab RPG characater creation software, used by many popular tabletop RPGs. My map for the Fane of the Sea God Level, written by Charles Ryan.For years, Dungeon A Day posted daily dungeon encounters by Monte Cook for Dungeons & Dragons 3.5 OGL. It was a massive dungeon. Eventually, he brought in Super Genius Games to keep the site running and complete the Dragon's Delve mega dungeon. Afterwrads, Super Genius continued with smaller dungeons, and added the Pathfinder rules along the way. Sadly, the site was forced to close to new subscribers last year. Fortunately, Super Genius received enough interest to start a new Kickstarter campign to make the original material available to newcomers. They hope to gain enough funding to add to the original material, and more. I added an excerpt of the map I produced for Greg Rucka's Alpha novel to the cartography gallery. You can read more about the details in my earlier blog post. So, it's been awhile since I've had a non-Star Wars post...or any other freelance related post for that matter. Hopefully that will change in the near future. There are a number of projects at various stages in the production and release process,many going back awhile now. Today, though, I get to talk about a new product type for me, if not a new type of freelance, exactly. Over a year ago, Eric Trautmann, former editor of some of my WEG products, introduced me to novelist and graphic novel author Greg Rucka. Comic fans might know Greg's name from his DC, Marvel and Dark Horse titles, including 52, Punisher, Gotham Central, Hellboy and many more. He's known for his own series of intense graphic novels Whiteout and Queen and Country, through Oni Press. Greg was looking for someone to help draw a map for the setting in his new novel. Something to aid him while developing the book. Somewhere big. Though the map isn't up quite yet, I was the cartographer on this week's DungeonADay.com adventure, Temple of the Black Goat. As usual, you need to be a subscriber to see/use. I'm continuing to create maps on occasion for Dungeonaday.com. In this case, it's the for latest adventure, Night of the Starbird. As usual, you'll need to be a subscriber to see and use it. I should have realized this sooner, but with the elimination of the Hyperspace fan club, now anyone can read most if not all of the old Hyperspace content. That means the tactical maps I did for the Battle of Turak IV article are now open for all to see. And, for those who don't recall, Turak IV originally appeared in WEG's Imperial Sourcebook. Some of the logos/graphics in the article later appeared in WEG's mini's book, Imperial Entanglements. As was pointed out in the comments, it's not open to eveyone. Looks like I was still signed in from an earlier session and didn't notice. Sorry about that. More cartography for Dungeonaday.com, this week is Level 19 (membership required). This is one of those weeks where it seems EVERYTHING is releasing at the same time. So, on with the updates. I'm a guest cartographer again over at dungeonaday.com, this time for Level 18. You have to be a subscriber to see it, but you can get the idea from this earlier post. Normally, I would add an excerpt or example of my most recent cartography work to my online portfolio when completed. However, as my most recent example was for the subscriber based DungeonADay.com (and therefore unavialable in the near term for this use), I went ahead and created a new map using the same techniques I used in the DaD Fane of the Sea God maps. While those maps adhered to the DaD style, I used different details for this map. The overall effect is similar. I am always looking for new cartography freelance projects. Please contact me if you have a project that needs need a map (or a writer). You can see my portfolio here. These past two weeks, I had the opportunity to contribute a pair of dungeon maps to DungeonADay.com, as a guest cartographer for the Fane of the Sea God areas. For those who don't know, Dungeon A Day came from the mind of prominent Dungeons and Dragons 3rd Edition designer Monte Cook of Malhavok Press. Posting one encounter/room per day, 5 days a week, it's about to reach dungeon level 16, not including side quests and related encounters. It is a subscription based site, so you won't be able to see my work (unless you subscribe, of course). In this case, the maps are heavily influenced by Dungeon A Day's established style, by their regular cartographer, Ed Bournelle of SkeletonKey Games. Super Genius Games took over the day to day content handling of Dungeon A Day late last year. Charles Ryan (former Wizards of the Coast Brand Manager, among other credits) recently joined the effort, and wrote the Fane of the Sea God areas. It's been good to work with Charles (for the first time) and Stan! on the project. Dungeon A Day is an 3.5 Open Game License project, and they recently added Pathfinder stats to their encounters. Those interested can either subscribe to the service, or I believe they are selling individual pdfs of some of the early levels. See the site for more information.